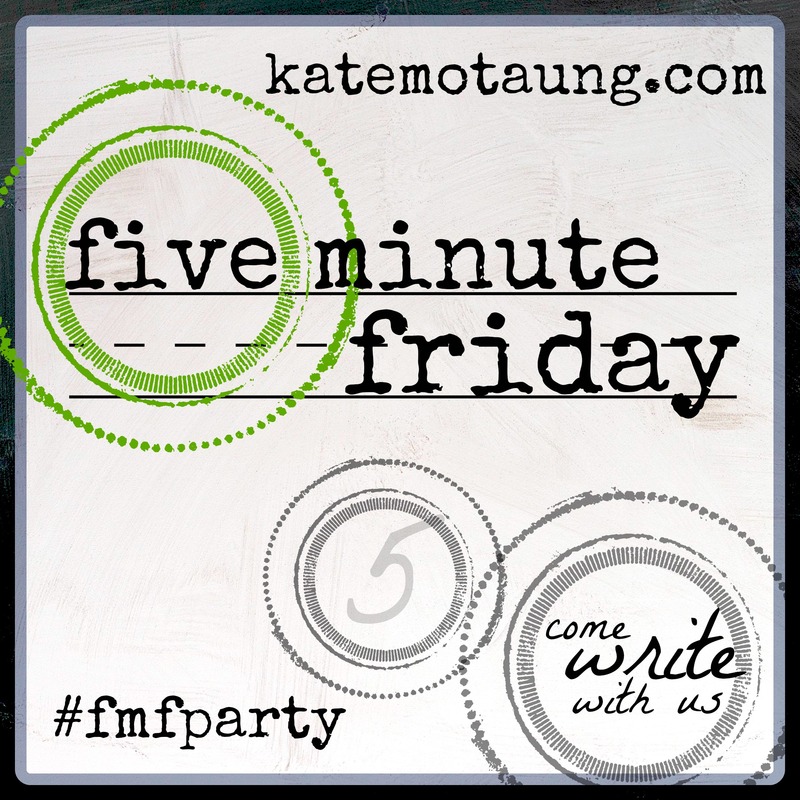 Welcome to Five Minute Friday! I was just noticing the tagline for this linkup: Come Write With Us. I hope you will. Click on the FMF banner for all the details. Today the writing prompt is Change. When I saw the writing prompt, I thought of two ideas. I'll tell you both stories. Change is difficult and slow for my family. When my husband and I were married, we attended the church in which he grew up. His parents went there. His grandparents went there. After a few years we felt the Lord drawing us away from that church, but with no clear destination. We started looking. It took a couple of YEARS before we visited a church nearby. It was good, but just not the right place for us. It took at least another year to try another church, and that's where we stayed. We felt welcomed from the start, and it has been--continues to be--a wonderful family with whom to serve God. But also, lately I've been praying for change. For God to change me into the woman, the wife, the mom He wants me to be. I've also been praying for change in my family. We don't always treat each other as we should, even though we WANT to honor the Lord in everything we do. (Any idea how hard this is to write?) So I'm praying that God will shape each of us in accordance with His will. Not my will. I know this shaping can be difficult, but I'm ready. That can be so hard to be open and willing to change into the person God has created us to be - not who we imagine. Prayers for you on this journey, and thank you for a thought-provoking post! Your second paragraph especially resonated with me. I long for the same kind of change in myself, that I be the woman that God called me to be. Thank you for sharing your heart with us. Good Morning, Melissa! Yes that whole idea of changing churches, leaving one community to journey to another, can be a most difficult choice. As you acknowledged by commenting on my blog, I wrote about the same subject, but what I didn't write about was how difficult it is to persevere when the ones that hurt you the most because they refuse to change just happen to be your family. Hi Melissa! I am coming over from Linda's blog. Change isn't easy, even when you want to make one. You knew you wanted a new church home, but had to wait to make that change. And changing our hearts is tough too. But if we don't change, we don't become better and better. So...I guess I have to face the difficulties and just keep trying. I'll get there eventually with God's grace! Great writing on change! After Amber and I moved to Georgia in 1995 it took us quite awhile to find a church home. When we finally visited the church I knew right away as well. That was eons ago, I haven't had a church home since 2007. I'm so happy you write about the change in your family. No harm in revelations and testimonies because someone out there read that and heaved a sigh of relief knowing they're not alone. May I suggest that as you use your free will to begin the positive change of how you treat each other that you let God guide you to make it a permanent change. I guess by making the choice to ask for His help in changing is the free will decision, huh? Does that makes senses? I have always been so resistant to change. Even in the midst of actually doing something because of the change I have an attitude 'cause I'm so uncomfortable. Shame on me. I am thankful you have found a church community where you feel at home. I've been blessed to be in the same community of believers for over 18 years. Asking God to continue to change my heart as a wife and mother are constant prayers. Blessings!